Adorn your updo with these enchanting lemon pastel pearl hair pins full of retro charm for 1950s elegance. 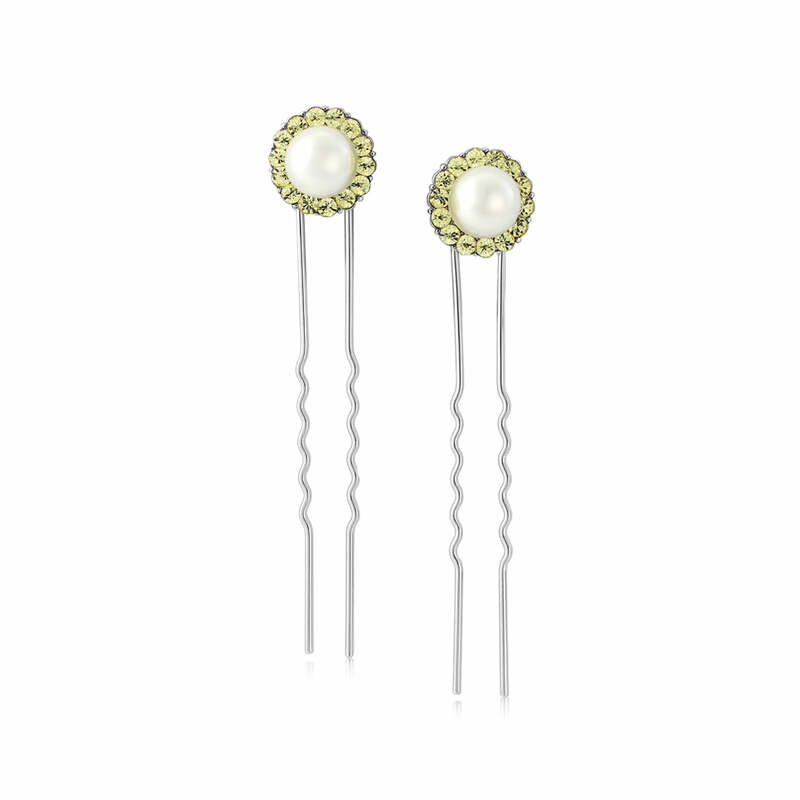 Inspired by pretty sorbet shades, our Lemon Dream Hair Pins are the epitome of classic elegance. Featuring a cream pearl encircled with a myriad of pale yellow crystals these pretty pins set on two prongs are a vintage delight which could have graced the shelves of a little antique shop. With a hint of 1950s retro charm, these yellow hair pins will look divine sitting in an elegant side chignon. A gorgeous hue which will complement the darkest brunette to the lushest blonde, Lemon Dream will shimmer with feminine allure. A subtle colour for a wedding theme, lemon can create the most beautiful bridal style. Accessorise a vintage lace wedding gown or team with our Lemon Dream collection of costume jewellery for bridesmaids who will glisten and sparkle in the most delicate of pastel tones.